PATRICK is working on a FRED project! Check out PATRICK OWSLEY's blog by clicking link at the right! Just got word that CBS NEWS ANCHOR Randy Salerno passed away last night in a tragic snowmobiling accident. KEVIN KREISS and I were on CBS NEWS with him during the Holidays of 2006 and he was a super nice guy. He will definitely be missed. 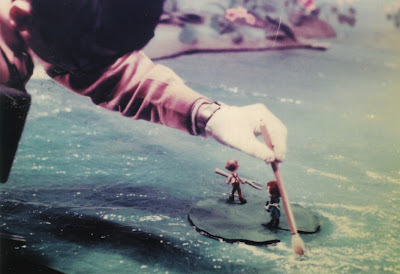 A few more pics from my upcoming RANKIN/BASS TREASURY book! 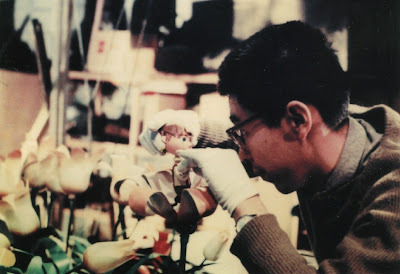 HIROSHI TABATA makes ANIMAGIC on the set of THE DAYDREAMER (1966)! Originally titled THE ENCHANTED WORLD OF HANS CHRISTIAN ANDERSON (by ARTHUR RANKIN, JR.), it was released as THE DAYDREAMER. I worked on the DVD and CD Soundtrack release for this film. The CD has a lengthy interview I did with R/B musical composer MAURY LAWS. 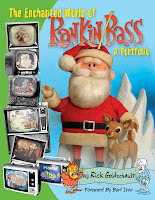 PREVIEW of my RANKIN/BASS TREASURY book! 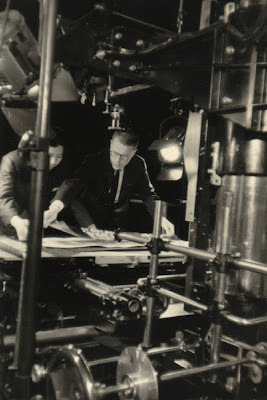 ARTHUR RANKIN, JR. at the MULTIPLANE working on THE KING KONG SHOW (1966) TOEI. 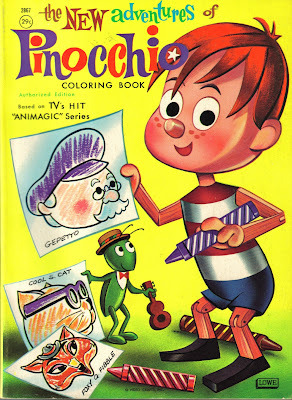 Talking about doing a RANKIN/BASS TREASURY book. Sent a large package off to PALACE PRESS this AM to the editor to discuss. Hope we can pull it off. This is what the fans are looking for! 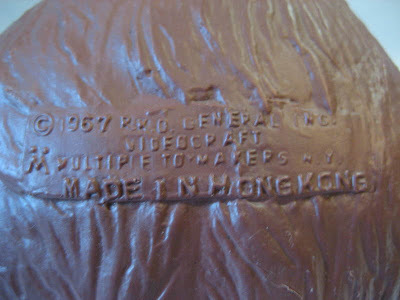 This may be the coolest RANKIN/BASS items issued in the 1960's! 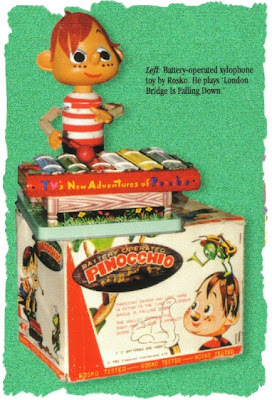 It was made by ROSKO and the figure looks very much like the ANIMAGIC figure of PINOCCHIO from RANKIN/BASS' THE NEW ADVENTURES OF PINOCCHIO. 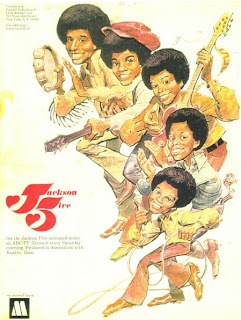 YES...RANKIN/BASS Produced both THE OSMONDS & THE JACKSON FIVE cartoon series. Even back then, Michael Jackson had exotic pets such as his mice RAY & CHARLES and his pet snake. 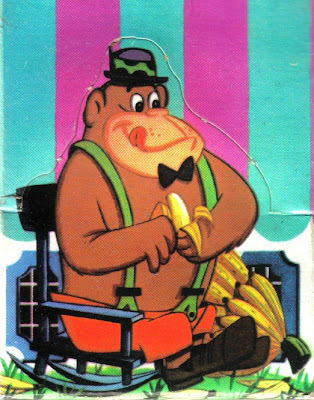 MICHAEL EISNER was involved with getting these series on ABC and the series did alot to boost the popularity of both acts. 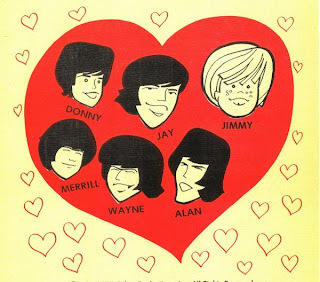 Donny Osmond remembers the cartoon series with fondness. I also heard from Marlon Jackson over the years and he requested some of my first book. Hopefully both series will wind up on DVD in the not too distant future. PATRICK OWSLEY is still doing RANKIN/BASS art commisions! Check his blog by clicking the link at the right. 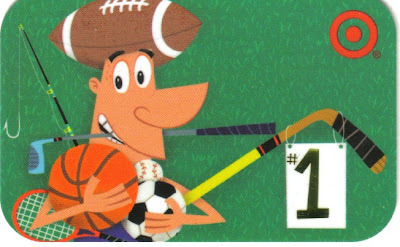 He did the FROSTY THE SNOWMAN style guide and alot of the art that appears in DVD sets including FELIX THE CAT, GO GO GOPHERS, TENNESSEE TUXEDO, FROSTY THE SNOWMAN and more! Fans are REALLY enjoying THE BALLAD OF SMOKEY THE BEAR Collector's DVD! 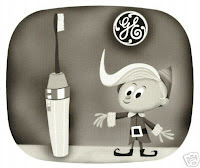 It originally appeared on THANKSGIVING DAY 1966 on the GENERAL ELECTRIC FANTASY HOUR on NBC (As RUDOLPH did) and there was a SMOKEY THE BEAR in the Macy's THANKSGIVING DAY PARADE to tie in with it. 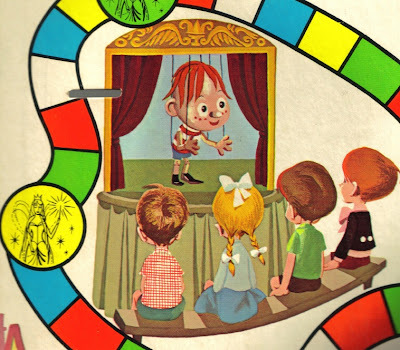 RANKIN/BASS Eye Candy! I have talked about this one before. GREAT RANKIN/BASS original documentary on this DVD Produced by RANKIN/BASS in 1971. I actually own a film print of the documentary given to me by MAURY LAWS. It shows the behind-the-scenes of the special being made and is narrated by ARTHUR RANKIN, JR. and DANNY KAYE! Well worth seeking out. www.AMAZON.com has it in their MARKETPLACE. Have the Collector's DVD without the package now! E-mail: Rickgoldsc@aol.com TREASURE TROVE of ANIMAGIC! Getting in some cool collector's DVDs of THE TOMFOOLERY SHOW and FESTIVAL OF FAMILY CLASSICS and much more! Keep an eye on EBAY under seller ANIMAGIC1 and MISER BROS for some cool stuff! http://www.timeandspacetoys.com/ still has PETER COTTONTAIL ENESCO figurines for sale! I designed this whole line some years back. I felt it was VERY faithful to the special! Looking good right now for the TREASURY treatment to my ENCHANTED WORLD book! Keep your eyes on the blog. Working on some collector's DVDs from THE NEW ADVENTURES OF PINOCCHIO and TALES OF THE WIZARD OF OZ. 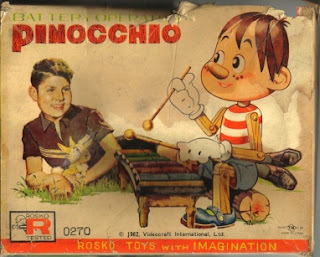 Two of the earliest things RANKIN/BASS Produced. I offer the TV soundtracks to PINOCCHIO and RETURN TO OZ already. I always loved the early design of these shows by TONY PETERS. Both of these were Produced with a great deal of CANADIAN talent and they recieved the CANADIAN SEAL OF APPROVAL. www.timeandspacetoys.com is taking pre-orders on the NEW version of the classic TV BATMOBILE! We were sorry to hear that veteran character and voice actor ALLAN MELVIN passed away Thursday. He recently did the introductions on the SGT. BILKO/PHIL SILVERS SHOW DVD set and besides doing the voice of MAGILLA GORILLA and other H-B characters and acting as SAM THE BUTCHER on the BRADY BUNCH and BARNEY HEFNER on ALL IN THE FAMILY...I most recently watched him as SGT. HACKER on the GOLMER PYLE SHOW. The world of entertainment will definitely miss him! He was 84.